Inder Ghagga, the heretic missionary who was silenced by Panthic Singhs in Toronto (see http://news.panthic.org/articles/2814) in a debate back in 2006 again tried to stir up the sentiments of the Sikhs by declaring that the Amrit Sanchar and Nitnem Banis of the Sikhs were extracted from the Hindu Markande Puran. Inder Ghagga, the uneducated self-styled missionary ‘professor’ was invited to speak on TimeTV Patiala’s “Kharian Gallan” talk show hosted by Harpreet Singh Dardi. From the very onset of the show Ghagga began to attack the contents of Sri Dasam Granth Sahib. He claimed that because the various contents of Dasam Granth Sahib did not began with “Mahalla 10th” and conclude with the word ‘Nanak’, it could not have been written by Guru Gobind Singh Ji, and went on to say the entire contents of Sri Dasam Granth Sahib were taken from Puranic Granths. When asked by the host, if he also refutes the validity of the sacred Sikh Nitnem and Amrit Sanchar Banis that are from Sri Dasam Granth, Ghagga emphatically stated “absolutely”, and claimed no real research was done in the past on these banis, nor was there any reference that these Banis were ever read during the first Amrit-Sanchar (of 1699). "Jaap Sahib is an extract from Markande Puran...no proof of Amrit Banis"
Ghagga even made the ridiculous claim that the Jaap Sahib written by Guru Gobind Singh Ji was actually a direct extract from Markande Puran’s pages 539-561, but failed to provide any evidence to substantiate his far-fetched claim. The talk show host Harpreet Singh Dardi, then allowed, Bhai Ratinder Singh, senior editor, Panthic.org to reply to the various preposterous claims made by Ghagga. Bhai Ratinder Singh forcefully requested that if Ghagga did not believe in our Amrit-Sanchar Banis, he should immediately remove his kakkasr, and retake Amrit using his own new maryada. Bhai Ratinder Singh then meticulously refuted Ghagga’s absurd claims and cautioned that the methodology used by people like Ghagga in invalidating Sri Dasam Granth is totally irrational. He asserted that eventually these people will attempt to use this same illogical methodology to attack the contents of Sri Guru Granth Sahib Ji, and he gave examples how certain associates of Ghagga have already acknowledged their belief that there was no succession of Guruship after Guru Nanak Dev Ji - a direct reference to the Rozana Spokesman editor’s twisted ideology (see http://www.panthic.org/articles/5169#sahwney). Bhai Ratinder Singh also provided reference that Prof. Sahib Singh, who is respected as a scholar by all modern-day missionaries, had full faith in Sri Dasam Patshah’s Bani and that Prof. Sahib Singh even provided the historical dates of Sri Jaap Sahib and Charitro-Pakhyian’s compilation in his works. Bhai Ratinder Singh chided Ghagga and his missionary associates for misusing Pro. Sahib Singh’s name and continuously misquoting from Sri Dasam Granth to futher their agenda. After being put on the spot, and refuted on all points, Inder Ghagga seemed visibly perturbed by Bhai Ratinder Singh’ counter replies near second half of the talk-show. He even complained that he had been queried to the point that he can no longer answer any questions. He tried to recover compsure, and went on a babbling rampage attacking the Panthic Rahit Maryada and Sri Akal Takht Sahib. In the conclusion of the show, Bhai Ratinder Singh requested Ghagga, and those who seems have made attacking Sri Dasam Ganth their only agenda, that they should sincerely study the contents of this sacred Granth with an open mind, without any pre-sent biases. This Granth should be studied from all angles, religious, philosophical, historical, and lingual. Only then will they understand the message in the Granth. In 2006 when Ghagga debated Panthic Singhs in Toronto, he had agreed that all his arguments would be kept within the confines of Sri Akal Takht’s Rahit Maryada. Less than four years later, he has now rejected the very same Maryada. In 1996 he was using Prof. Sahib Singh as a principal reference for his interpretations, now he is rejecting the Prof Ji’s views on Sri Dasam Granth. Missionary heretics like Ghagga have no clear ideology, or vested interest in solving issues that are facing the Panth. In reality, their agenda is to create confusion, unnecessary controversy, and friction. Due to such activities, Ghagga and his associates were put on notice by Sri Akal Takht Sahib in October of 2006, and he was recently roughed up by the Singhs in Punjab after he made some anti-Panthic statements at a Ludhiana college. At that time, he apologized to the Sangat, begged forgiveness, and pleaded that his wife was sick at a hospital, and escaped from the scene. Now he seems to be back to his old tricks, again. Vaheguroo Ji Ka Khalsa Vaheguroo Ji Ki Fateh!! I'm sure you may get a lot of emails and I don't mean to be a bother but I just wanted to say thanks to sewadaar Bhai Ratinder Singh Ji for the debate on Chardikala TV with Ghagga. He did a great job of representing and fighting for our Piaarey Piaarey Dasam Pitaa Sahib Jio dey baanee on tv. Ratinder Singh Ji did an excellant job of debating Ghagga and putting him on the spot by defending gurbani with proper examples and with great knowledge. Great work from panthic.org, keep up the great sewa for the panth! Bhai Ratinder Singh explains very clearly. It looks his study in Sri Dasam Granth is vast. But Inder Singh Ghagga is wrong. He is unable to produce any documentary proof to support his views in this regard. Ghagga was a car driver as he was in Bathinda. I was watching the debate video at Bathinda and one person come there and told me that he was a driver. How he got Prof Degree? He is only a CHUNCH Giani who is denying the Nitnem Baanies These CHUNCH Gianies will never forgiven by the Khalsa Panth. I am not totally in favour of inder singh ghagga, but got question for you guys. Have you read the rehat maryaaada of [DD] [edited] Taksal? 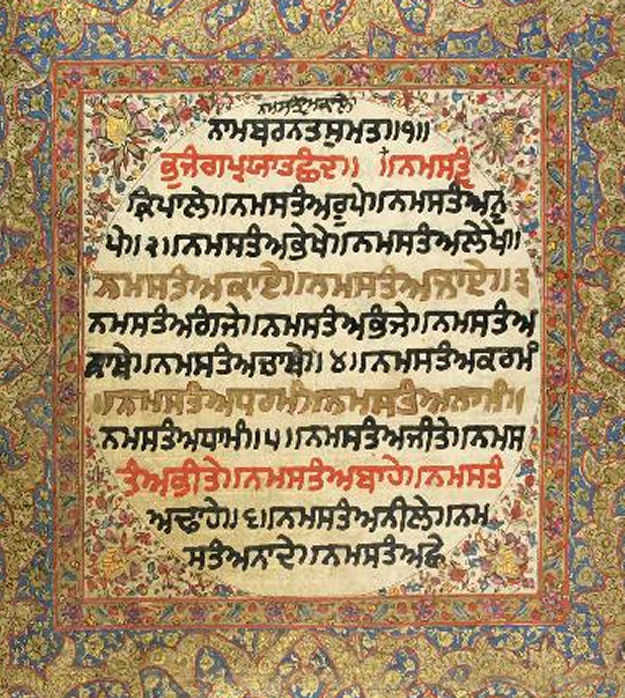 Gurmat Paath Darshan written by Giani Gurbachan Singh Bhinderaanwale. Read it. It contains maryaada based on brahmanical stories full of flaws and conradicts Sri Guru Granth Sahib ji. So why should we send our children to [DD] [edited] Taksal for gurmat vidyaa? Why? Mocking the name of any Panthic Jathaybandee will not be allowed on this site. Your comments are being edited to relect this. Sant Giani Gurbachan Singh Ji Bhinderanwale was a true gusikh, he was not perfect but he spent his entire life for the sevaa of Sikhee. Ghagaa on the other hand is tryin to destroy Sikhee. When people like Ghagga, Jachak, Darshan Ragi don't even believe in Dasam Bani and the Bani with which Amrit is bestowed, then why do they even bother to carry a long Kirpan with them when they have to appear in Public? They do that to confuse Sikhs...A person who looks like a Sikh and talks filth about Sikh principles is more dangerous than a person who doesnt look like a Sikh and talks filth about Sikh principles. Hence they are dubious and deceptive. And their aim is to cause confusion in the panth and cause maximum damage to the panth. Darshan Ragi is now an ex-Sikh.....so are Ghagga and Jachak. The member of this Kala Afghana cult are self walkouts from Sikhi. we all thanks to the seva of BHAI RATINDER SINGH JI , for providing the evidences in favour of dasam granth sahib ji . Inder Singh Ghagga must understand that the although there are enough people to support his stupidity but GURU JI's Sikhs will always find a true way to prove him wrong. May GURU JI bless him with some honesty and devotion. Hopefully, effort like this one will be continued. I think every sikh should read Bhai Kesar Singh Chibbers Bansawalinama, Sri Gur Katha by Bhai Jeewan Singh Shaheed (Rangreta guru ka beta), rehatnama by Bhai Chaupa Singh Chibber, Rehat nama by Bhai Daya Singh ji (panj payare), Rehat nama by Bhai Desa Singh ji( son of shaheed Bhai Mani singh). It is just our lazyness towards our sikh literature that will result in confilcts in our mind. Bhai Chaupa singh( who looked after Guru Gobind Singh ji when he was child and stayed with him for his whole life) gives clear evidence with dates regarding Sri Dasam Granth Sahib including Charitropakhayan and Bhai Kesar Singh Chibbar his grandson gives plenty of references from Sri Dasam Granth Sahib including Bachitar Natak, Sharitropakhayan. Bhai Jaita ji and Bhai Daya singh tells you about all the five banis read during amritsanchar and the rehats of Sikhi. Though I am thankfull to this anti Dasam Granth brigade coz they made me read all Dasam Granth and analyse it myself according to Sri Guru Granth Sahib. The difference between true Guru and fake guru is that true Guru directs you in the path of actual life and adhiatmic life. And that's what Guru Gobind Singh has done for us. He has given us enough education that we dont need to ask anyone. And people who say charits cant be explaind in sangat. Read Dr. Rattan singh Jaggis translation. Its is written beautifully. And Bhai Ratinder Singh ji, I think its is the time to tell about the moral and theme of every charitars and I think Bhai Sher singh is the best person to tell about the moral of every charitar. This is priceless literature and if you present this literature to the people of world, you will realize how much will they appreciate. I think it is good this criticism is happening as it is a wake up call for the Sikhs to read and understand there martial spirit. Wahe Guru Ji Ka Khalsa Wahe Guru Ji Ki Fateh ! I am sure Inder Singh Ghagga has not consider Deshmesh Pitah Ji's sacrifices for Sikh Panth. WaheGuru sumat Inder Singh Ghagga not to speak like this in future. Bhai Ratinder Singh explains very clearly and his study in Sri Dasam Granth is vast. People like Ghagga are spreading confusion in Sikh panth. I think some other organisations (may be christain missionaries) are behind them, because christian missionaries are afraid of the teachings of Guru Granth Sahib Ji and they are convinced that in future teachings Guru Granth Sahib Ji will over power the teachings of Bible etc. These views have also been expressed by several Sikh 'scholars' like Dr. Gursharanjit Singh of Guru Nanak Dev University(see his book Ajoke Parsang Vich Guru Granth Sahib Prampra Ate Itihas page i and ii). So maybe these organisations are funding peoples like Prof.Darshan, Jachak, and Ghagga etc. this issue of Dasam Granth Sahib Ji has been in debate since year 1977 when Bhag singh of Ambala wrote a book Dasam Granth Nirne. Prof. Sahib Singh Ji is the most respected scoler of sikh panth who also believed that Dasam Granth was written by Guru Gobind Singh Ji. According to Prof. Sahib Singh Guru Gobind Singh Ji has used the word BHGAUTI for AKALPURAKH (see Darpan Vol-5 page 707) so I pray that Waheguru inha logan nu summat bakhshe.